The news this morning is that the Congressional budget office estimates this year's budget deficit at $1.35 Trillion. That is compared to a total budget of $3.5 Trillion. In other words, more than a third of everything the government spends in a year is borrowed money. Man that is a boatload of T-Bonds. Bad time for the Chinese to be getting nervous about buying our debt. The administration has got to be searching for some other poor suckers to sell this stuff to. Well they might have found just the suckers they're looking for. President Obama and Vice President Biden announced proposals yesterday that they claimed would help the middle class weather the storm of the current economic downturn. I expect we'll hear these ideas repeated in the State of the Union Address on Wednesday. One of their proposals had to do with some so called "reforms" to the IRA/401K rules. You can hear what they had to say from the C-SPAN coverage at this link. The part about IRA/401K reforms is between 5:31 and 7:40 minutes. The language sounds innocent enough, but the details, when they finally emerge, will likely reveal just what unprincipled villains our politicians really are. 1) Thousands of workers today don't have a good option to save their hard earned money. We want to mandate that employers who don't already offer a retirement plan at work provide an automatic (direct deposit) IRA vehicle to their employees. 2) We want to offer a 50 % match on the first $1000 saved. 3) We want to strengthen and update 401K regulations so they can save with greater confidence. Just on the surface of it, there are a few things that might set off alarm bells. First of all, no conservative worthy of the name would welcome yet another mandate for employers in the requirement to set up the IRA. And secondly, the 50% match on the first $1000 saved will cost the government up to $500 per saver per year. But while these policies might be contrary to our libertarian principles, few of us would raise too much of a fuss about these proposals as they stand. But what if we flesh out the plan with a few details? First of all, is it true that workers don't already have good savings options? No, that is clearly not true. Many workers have access to tax deferred 401K plans at work, and many of those offer an employer match to some extent. And even if they don't have a 401K, every working American can open a tax advantaged IRA account. These accounts have a tremendous appeal and offer a distinct advantage over many alternatives in that they belong to the individual and he has total discretion as to how the money is invested, from the most conservative money market to the riskiest stocks and bonds. Do we need the nanny state to drag us into a savings plan and then most likely mandate how we invest within that plan? Maybe it's not a big deal if the plan is voluntary, but what if it isn't. Teresa Ghilarducci, a Professor of Economic Policy Analysis at The New School for Social Research Department of Economics testified (read transcript), or (watch video 31:55 to 37:04 minutes) before the House Committee on Education and Labor on her idea for a mandatory government run savings plan where workers would be required to save 5% of their total earnings each year. This is over and above the money already taxed away as Social Security premiums. The money would be invested in "safe" government bonds (are you starting to smell a rat yet?) and the saver would be guaranteed a 3% return above inflation. (Read a brief synopsis of the plan in her NY Times Op Ed) "Well gee," you say. "That doesn't sound too bad. I might be happy with 3% above inflation. And government bond are guaranteed by the full faith and credit of the United States. What could be safer than that?" Well look at it this way. If the government forces you to fork over 5% of your earnings, that's like an additional 5% tax on those earnings. "But you'll be getting a return on that money," you say. Yeah, maybe. But, perhaps you have a better idea of how to invest. Perhaps you feel you can earn 5% above inflation if you invested on your own. Or maybe 15%. Whether you can do it or not, shouldn't it be your decision whether or not to try? Should the government be able to compel you to invest the way they want you (or need you) to invest? And what happens to the value of existing stocks and corporate bonds when savings are suddenly diverted into government bonds instead of other asset classes? What happens to the value of existing IRA's and 401K's that are invested in those newly orphaned stocks and bonds? And how will businesses raise capital for growth and investment if the market for corporate stocks and bonds suddenly dries up as more and more savings are diverted to government bonds? It's as if the government is saying, "We need the money more than the private sector does and we're willing to break arms and legs to take it." Furthermore, how reliable is a return of 3% above inflation if the government gets to define what the inflation rate is. The rate of inflation is a statistic that can be easily manipulated depending on how it is measured. And just how safe are those government bonds really? This sounds like a replay of the whole Social Security Ponzi scheme. You pay social security taxes into a fund, but instead of putting the money to work in real productive assets to grow your retirement nest egg, the money is "invested" in Treasury Bonds. Or at least that's the story we are told. The real story is that the government spends the money on entitlement programs for someone else and replaces it with Treasury Bonds. These are essentially IOU's that say the government will use its taxing authority to repay you your "entitlement" when the time comes. The problem is our fiscal profligacy will leave us unable to raise enough money by taxation to fully repay the debt. That's why people rightly claim that the unfunded liability in Social Security and Medicare is an impending train wreck. And this new "savings program" would simply compound the problem. It's nothing more than a way to divert the savings of productive Americans to prop up the Treasury markets and to delay the inevitable catastrophe that is coming. The administration is desperately looking for a way to kick the can down the road a few more years. Sooner or later, the system will implode unless we face reality and make some hard decisions about entitlement spending. Part two of the Vice President's plan is the 50% match on the initial $1000 every year. Where is that money going to come from? Do we just add it to the deficit, or is there a proposal to pay for it? Well, I have good news and bad news. The good news is that they don't plan to add to the deficit. They plan to pay for it. The bad news is that in order to pay for it, they propose to eliminate or reduce the tax benefits of IRAs and 401Ks. So the net effect will be to discourage the individual owned, individual directed IRA or 401K, and shift the money to a government run and government directed Guaranteed Retirement Account (GRA). Once again, the links above to Professor Ghilarducci's proposals will provide more details. This just reinforces the shift of investment dollars from private productive uses into wasteful government uses. It's a treasury market gravy train in the making. Now I've provided some details of a possible proposal from the administration, but in truth, I don't know just what form the proposal will take. In fact, I doubt that the government would disclose their true intentions by revealing the whole plan all at once. They'll introduce the most benign elements of the plan at first, just to get the camel's nose under the tent. Then over the next few years, the more onerous elements of the plan will be introduced incrementally. The infrastructure of the ultimate plan will be in place, and we'll be told that we must make the necessary changes or face financial ruin. If they are careful, maybe we'll never see it coming until it's too late. Isn't that how Social Security evolved? FICA taxes started out low but have gradually grown over the years as has the upper threshold of income subject to the tax. Eventually, they had to subject payments to income tax and raise the retirement age to keep the program out of bankruptcy. I expect in the future, we'll see further erosion of benefits through means testing eligibility for payments and inflating away the real value of benefits. The administration is trying to run the same play with this 401K/IRA scam, but just to the other side of the field. There has been some serious speculation for years that Congress, and now the White House, wants to tap into the huge reserve of private retirement savings in this country to support the Treasury market and fund our "far as the eye can see" deficits. And what better time than the present when investors have taken a huge hit to their net worth, and they are nervous about the long term value of their retirement nest eggs going forward. Didn't somebody in the West Wing say something about not letting a crisis go to waste? 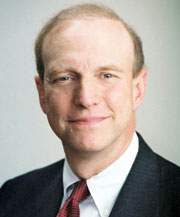 Deputy Assistant Treasury Secretary Mark Iwry published a paper in 2008 when he was a fellow at the Brookings Institution that suggested one means of increasing annuity purchases. He recommended retirement plan payouts be structured by default as an annuity in the first two years. Then, unless the beneficiary opted out at the two year point, the annuity option would become permanent. Any way you slice it, there will be some significant changes offered up affecting the way Americans save for their retirement. We need to be wary of a hidden agenda disguised within these proposals. Having been defeated or at least delayed in their efforts to take over health care in this country, this radically progressive juggernaut that is the Obama administration has set their sites on a new target; the $3.6 Trillion in employer based defined contribution retirement plans including 401Ks. Let's hope we can mobilize the same awareness and outrage in this battle as we did in the battle against ObamaCare. Here are several other references that might fill in some holes in the story. Would Obama, Dems Kill 401K Plans? Are Congressional Democrats Talking About Confiscating IRA and 401K Investment Accounts? Obama Administration Wants to Annuitize 401Ks and IRAs - Mandatory "R Bonds"
Just Another Money Grab by the Gov?